In addition to the wedding cake, some couples also splurge on a Viennese table/buffet, an impressive display of assorted cookies, mini pies, pastries or fresh fruit, for dessert. 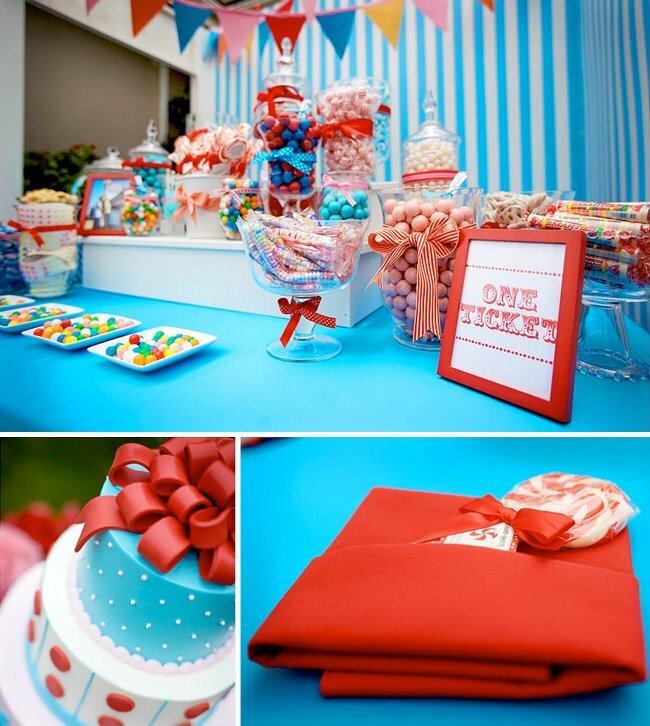 Some couples even opt for a fun, colorful candy bar straight out of “Willy Wonka & the Chocolate Factory” or a dessert station with gourmet cupcake towers and cookies but another great dessert option to consider is the interactive dessert station. Interactive dessert stations allow guests to get involved and actually create their own delectable desserts or watch as their desserts are created by a chef. Here are a few interactive dessert station ideas to consider that will have everyone talking well after the wedding is over. Not just for kids’ parties, ice cream bars are a big hit with adults too! Ice cream bars are versatile and offer multiple dessert options. 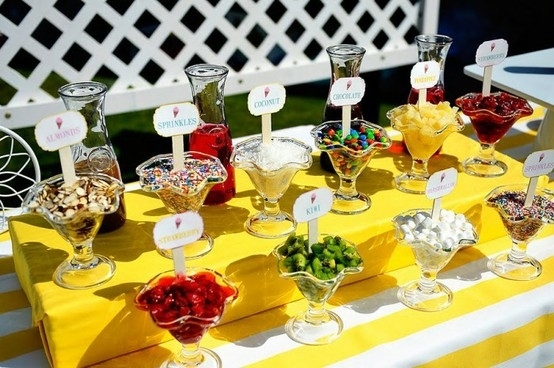 They can be sundae bars with lots of toppings for guests to select from like sprinkles, candy pieces, nuts, fresh fruit, flavored syrups and whipped cream. Add some fresh baked waffles, and the ice cream bar becomes a waffle and ice cream sandwich bar. Add some root beer, cola or club soda, and the ice cream bar becomes an ice cream soda station. Crazy for ice cream? Offer all of the above options. Your guests will thank you. Bananas foster is a popular New Orleans dessert that is created in a flambé pan with bananas cooked in brown sugar, butter, banana liqueur and rum and served with vanilla ice cream. The rum gets ignited during cooking, making this a showy dish that is delicious and fun to watch get made. Crepes are French pancakes that are also fun to prepare and eat. You can fill crepes with a variety of items like syrups, fresh fruit, nuts or Nutella spread and top with them with whipped cream for a sweet and satisfying dessert. Who doesn’t like s’mores? Nothing brings out the little kid in you like making some s’mores. 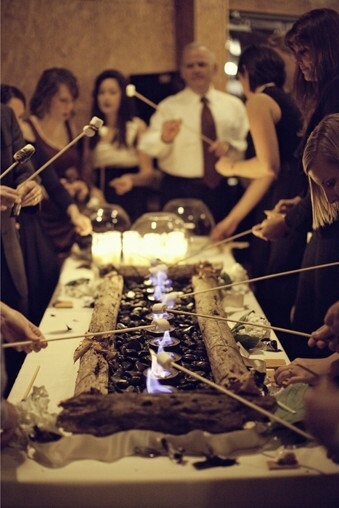 Guests can make them the old fashioned way by melting the marshmallow over a flame or electric burner and nestling the marshmallow and chocolate between two graham crackers, or for a more modern take, dip chocolate covered graham crackers in marshmallow fluff and have a server melt it all with a mini blowtorch. 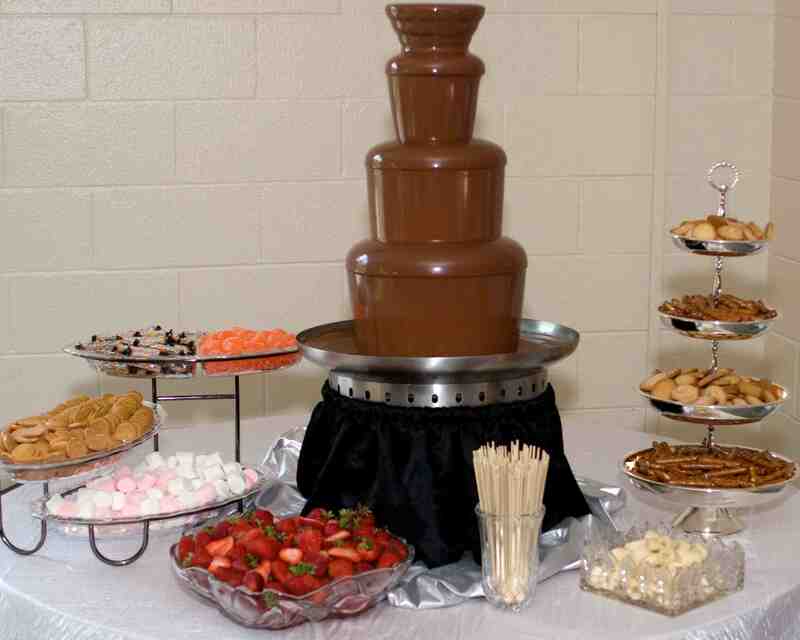 Guests select items like pound cake, pretzel nuggets, Rice Krispies Treats, fresh fruit and marshmallows, skewer them up, and then dip them into the cascading fountain of melted chocolate. A chocolate fountain not only looks great, it tastes great too. 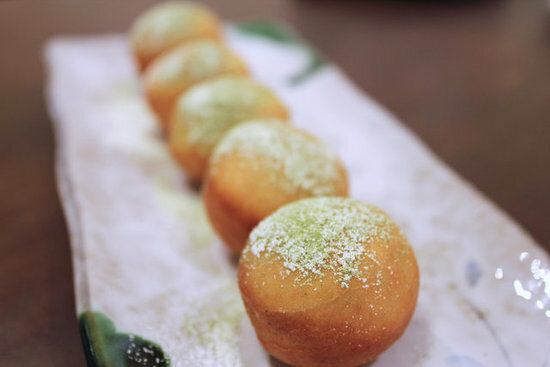 Fried dough in any form is fabulous and there are several variations on fried dough that would work well for an interactive dessert station. Perfect with a cup of coffee, there’s nothing better than freshly fried donuts rolled in sugar or cinnamon or donut holes with chocolate or caramel dipping sauces to top off the night. Zeppole, Italian deep fried dough balls covered in powdered sugar, taste great plain or filled with custard or pastry cream. Then there is the fun and more casual option of a funnel cake station. The deep fried batter is sprinkled with powdered sugar and can also include a topping of fresh fruit or jam. Interactive dessert stations are sinfully sweet and a big hit at every wedding. Ask your caterer or reception venue if they offer interactive dessert stations, and if not, perhaps they’ll allow you to bring in an outside vendor that rents the equipment and provides the necessary supplies and servers.